Last week, the Colorado Springs City Council gave the public less than 24 hours’ notice that they intended to vote on an ordinance, allowing the giveaway of your City sales tax dollars to new businesses that plan to move to Colorado Springs. The primary reason behind the new ordinance? City Council wants to attract a new retailer, Scheels Sporting Goods. Further, this ordinance will allow for ANY companies that are thinking about setting up shop in Colorado Springs, to request a waiver from paying a portion of City sales taxes. The waiver would be for whatever duration the City Council approves. On February 11th, Bob Cope, Colorado Springs Economic Development Officer, made a full presentation to the Colorado Springs City Council work session about Scheels coming to Colorado Springs, and described how the new ordinance is the first step in the Scheels’ deal. It establishes that City Council may allow any new businesses the option to skip paying a percentage of city sales taxes. Click here to see Cope’s entire presentation. On February 12th, a majority of the City Council members listened excitedly during Mr. Cope’s presentation about Scheels. When it came time to vote, 7 of the 9 members passed the proposed ordinance. You will want to see the whole discussion. Here’s a list of their email addresses, for you to easily copy and paste into your email program, should you want to share your thoughts with them. Politely, of course. They were the only two who voted against the ordinance on February 12th. You might also email them your thanks. Before we get in to the details of this deal and what it would all mean, a word about Scheels. It’s important that readers know that SpringsTaxpayers.com is notopposed to Scheels coming to Colorado Springs. We have shopped at some of their other locations. We want them in Colorado Springs. All of our criticism lies squarely at the feet of City government policies. We are pro-Scheels. So what’s going on with the Scheels deal? Scheels will be building their 220,000 square foot store at the Interquest Marketplace, in the same Nor’Wood Development that holds the Great Wolf Lodge, Regal Cinemas, and other retailers. This new Scheels location will be along the same street as Colorado’s first In-N-Out burger location. This area is prime real estate and a glance around the area makes one fully aware that none of the businesses need a “hand out” to succeed. 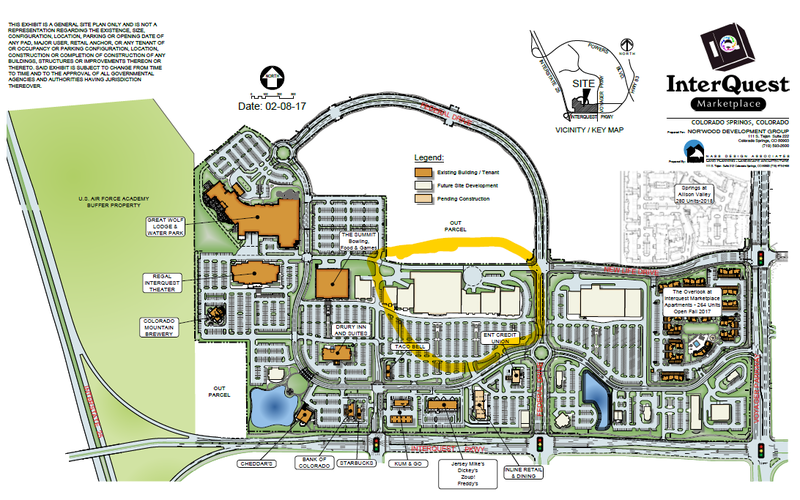 What is this new ordinance and City sales tax waiver for potential new businesses like Scheels? Under an agreement with Scheels, City Council will likely grant Scheels a 1% waiver of the City’s sales tax during its February 26thmeeting. In place of that 1% tax, Scheels customers will pay a 1% Public Improvement Fee (PIF) that Scheels will be able to keep and use however they wish. To be clear, buyers will still be paying the same base sales tax. The difference is that the 1% of it will not go to the City general fund for City services. It will stay with Scheels. In addition to the Scheels PIF, customers will also have to pay an additional 1% PIF to the developer, Nor’Wood. Pretty sweet deal for Scheels and the developer, right? You may be asking: What exactly is a Public Improvement Fee? This Fox 21 story covers the topic nicely. These hidden fees are angering a lot of citizens. It’s estimated that if Scheels keeps that 1% of sales tax money in the form of a PIF over the next 25 years, that will amount to $16,000,000 that will not go to the City’s general fund. That money could be put to good use by the City for road repairs and public safety. Think about that when the City asks for more money for pothole repair and more police officers. Why incentivize businesses in an area with a booming economy and population growth? Smaller cities might need to think that way, but Colorado Springs does not. Do we want new businesses moving into Colorado Springs? Certainly. But do businesses need hefty incentives to come into our city? We don’t think so. 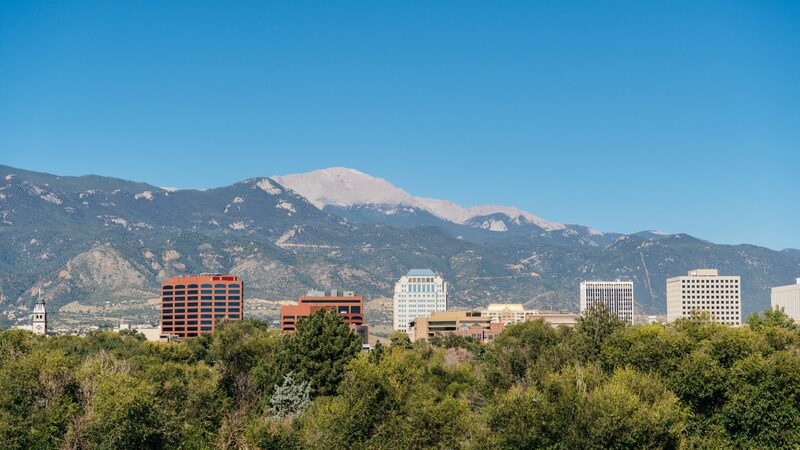 Colorado Springs is consistently ranked in the top 10 “best” for rankings of cities in the US. Colorado Springs is on pace to be the largest city in Colorado. So why would we even consider giving away city sales tax money with a growth forecast like that? And what about businesses that are already here and have been through the economic ups and downs in our community? Why should deals like this be offered to new companies when Colorado Springs has a lot of quality businesses that have been the backbone of the community for years? What about the other sporting goods stores in town who want to compete on a level playing field? When City Council makes these decisions, they are picking winners and losers —and that is not good government. City Council stubbed its toe big time on this issue, and our representatives should not be giving special deals to any businesses. None. If a company has a good product, then success will follow. No tax favors needed. Especially not in Colorado Springs. On Tuesday, February 26th, we expect a City Council vote to approve a specific deal for Scheels. Please, contact your City Council member and ask him or her to vote “no” on the specific sales tax giveaway to Scheels. It’s too late for the ordinance that has already passed, but it’s not too late to have our voices heard about their current big plans with Scheels. ⟵Citizens Speak Out – Improper use of taxpayer’s money for a non-governmental purpose. I already contacted my Council member, Don Knight. His reply was basically “Go take a flying leap. My mind’s made up. We don’t want this going to Monument or Fountain.” Yeah. Like Monument or Fountain has the wherewithal to offer any deal. I doubt very much that Bass Pro Shops would just roll over and die if the City was to offer any kind of handout. My primary problem with this deal is that there are absolutely no performance metrics that Scheel will have to satisfy in order to retain this sweet deal. They just have to stay in business for 25 years. Well, where, exactly, did Cope come up with his numbers of direct and indirect employees and average salaries? Why are those numbers not part of this agreement. Scheels doesn’t hire 400, full-time employees earning an average of $45,000/year, they don’t get to keep the 1%. You’re right Donn… the whole thing does stink. Our government doesn’t need to use OUR tax dollars to bribe a giant, sucessful company here. The company knows they’ll be sucessful here, given our population and lice of the outdoors, therefore we don’t need to bribe thern to move here. We need new elected officials that care about US, the residents…. This is OUR home, and it’s time we elected people that will put the power & control of the city where it belongs….in the hands of our residents!